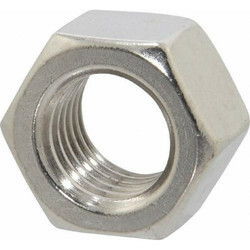 Our company has enlisted its name amongst topmost firm for supplying, trading and exporting a wide array of Metal Nuts. 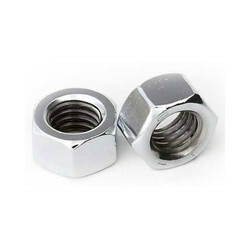 These Metal Nuts are available with us are quality approved and has long lasting life. Due to the changing needs and choice of patrons, we are offering a wide array of Heavy Hex Nuts. The Heavy Hex Nuts we provide are resistant to corrosion and known for their durability. Our Heavy Hex Nuts are highly acknowledged amongst the customers for their sturdiness and usability in several industries. A Hex Nuts in smaller sizes for machine screw diameters under 1/4. Stainless steel 18- Hex lock nuts nylon insert. A hex nut with a nylon ring to resist loosening. We offer Weld Nuts which are as per international standards of quality. Our entire range of Weld Nuts is obtainable in several shapes and sizes to fulfill the varied business needs.